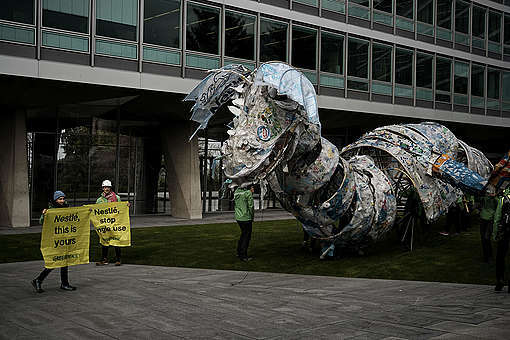 We kicked off these negotiations in true Greenpeace style: with activists, boats and a giant, flying, inflatable turtle! 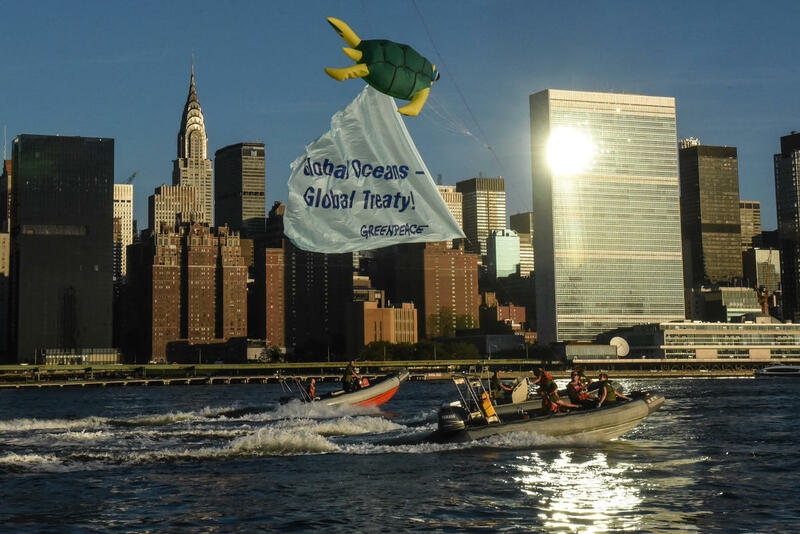 At sunrise on the day the negotiations started, activists sailed on the river directly in front of the UN building to fly a banner reading “Global Oceans – Global Treaty!” next to a giant turtle kite (which is harder to handle than it looks!). 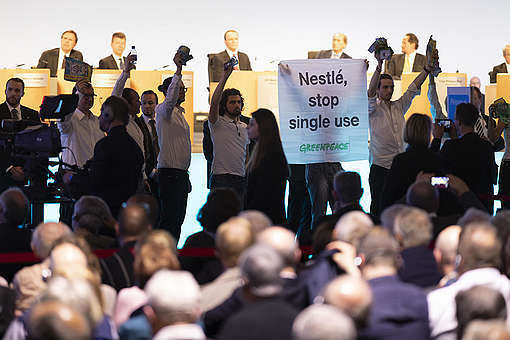 The pictures of the action made headlines around the world, helping us to tell the story of why this matters so much. See the video of the action here. This first round of talks was a good start. 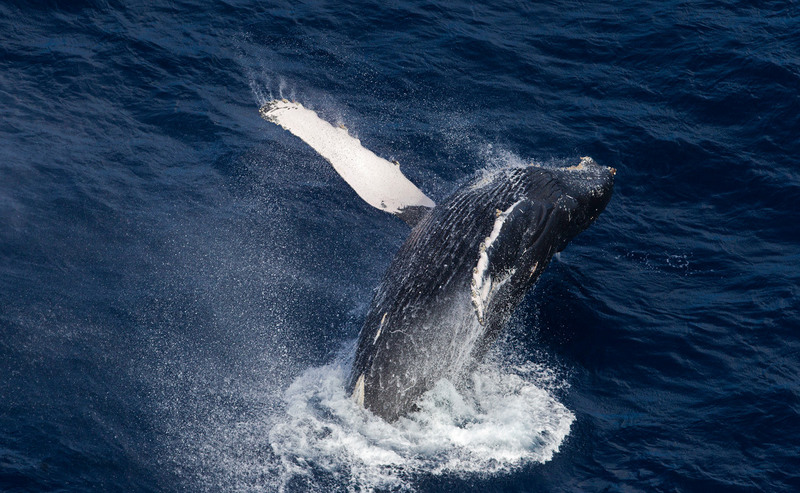 We’ve seen governments from Africa, Pacific and Caribbean islands and Europe strongly supporting a Global Ocean Treaty with powers to create ocean sanctuaries on the high seas. You can track all the statements in detail in the Treaty Tracker. 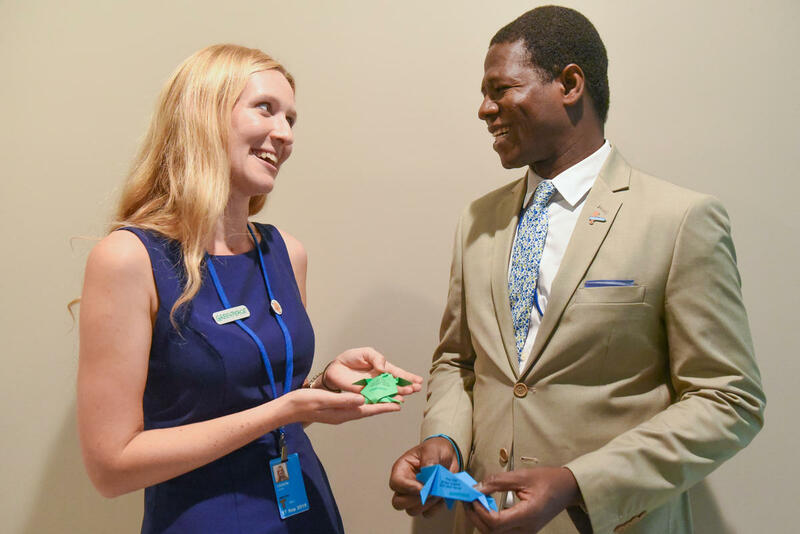 As South Africa and Argentina said: “we need a Treaty that bites when necessary. We need a Treaty that is a real tiger, not a paper tiger.” But now it will be crucial to see countries take the lead on ocean protection in practice. 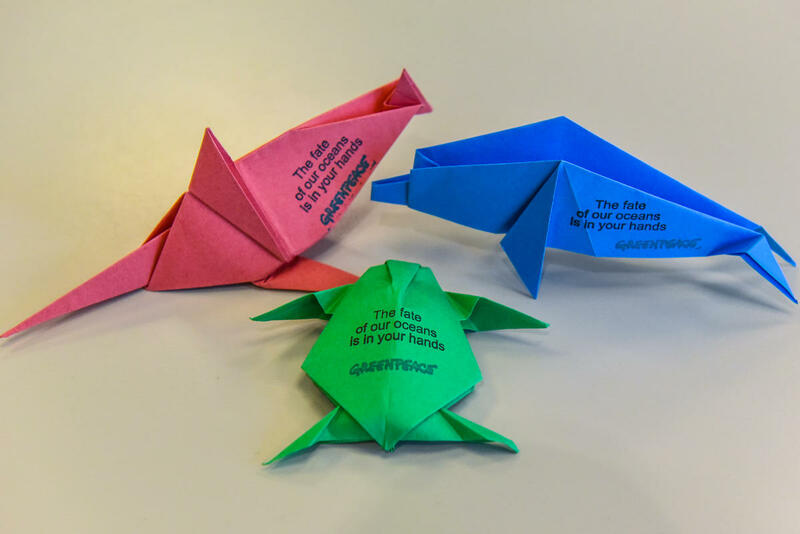 Louisa Casson is an Oceans Campaigner with Greenpeace UK and has attended the negotiations for a Global Ocean Treaty.